And the winner of the puppy biscuits is…. Not Fenway… I took this pic a few days ago. She isn’t sad about wearing the hat.. she sad because she was out her home made biscuits. 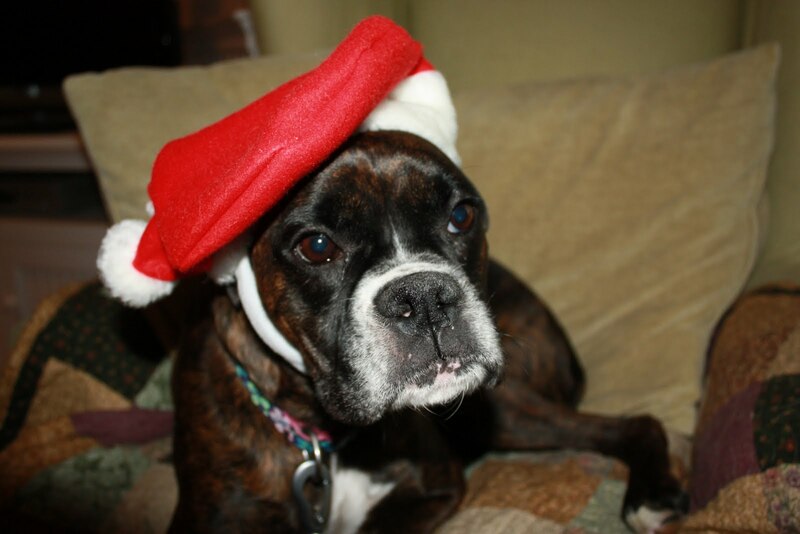 This was when she was a good girl…. Today, she was a bad girl…. Ignore my apple in the bowl in the background.. In a mixing bowl, cream butter & sugars together; add eggs, 1 at a time allowing each to fully incorporate. Add vanilla & cocoa powder. In a large bowl, add flour, salt & baking soda. using a whisk, whisk together. Ad flour mixture to butter mixture in 3 parts. Stir in chocolate chunks. Drop by tablespoons ( I use a cookie scoop) onto parchment- lined cookies sheet. Bake 10-13 minutes. Allow to cool on a cooling rack. 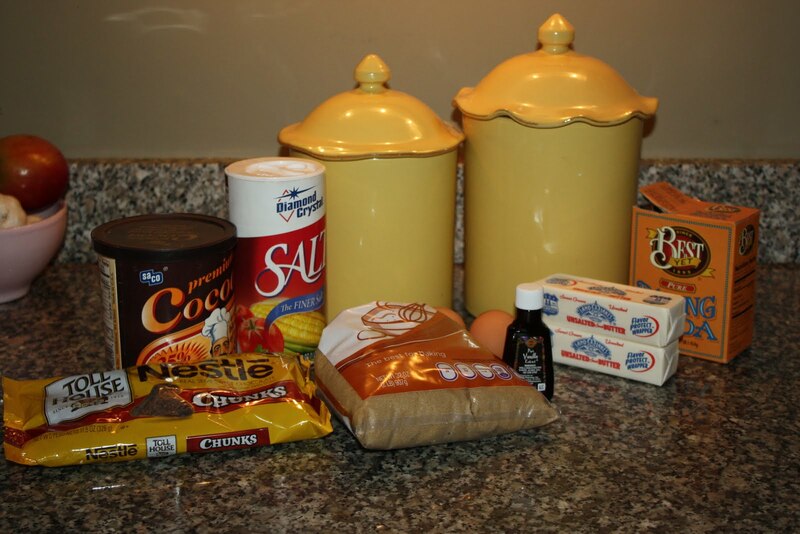 This is a very tasty recipe.. Alison usually makes these for us, but since she was at school getting her learning on, I made them today 😉 Very fudgy… I’ll bet that you could just spread the dough in a 9 x13 inch pan ( greased) and bake like brownies…. Morgan!!!! ( Breezy’s pup!! )… I’ll be shipping out the biscuits tomorrow! Congratulations! I made a fresh batch last night,, this time I didn’t puree the carrots & peas mixture, just kind of rough chopped. I think that they look better. Fenway seems to like them. Much better than raw butter. p.s. tomorrow I have a special guest for the ‘classic’ Christmas cookie!!! 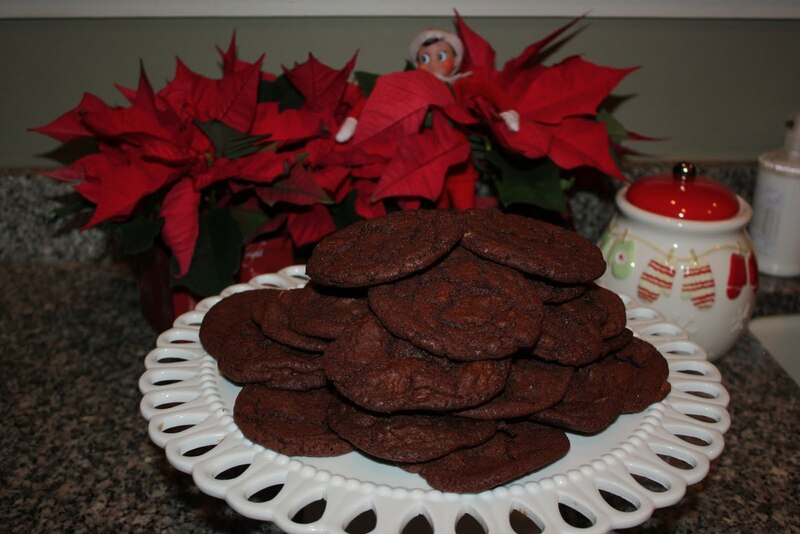 « All the stockings were hung by the kitchen with care…..
Yay Morgan is the big cookie weiner! She says thanks!